Also I just had to share this picture from Ann W. She such a sweetheart. Ann doesn't have a blog, but wanted to share her Rooster Card with me. So I asked if she wouldn't mind if I posted her project on today's post. I think she did a fantastic job. 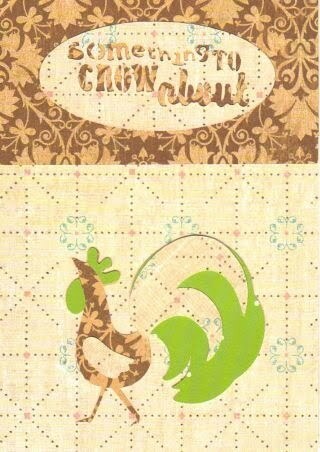 She used the Classic K (K&Co) paper collection for her rooster card. 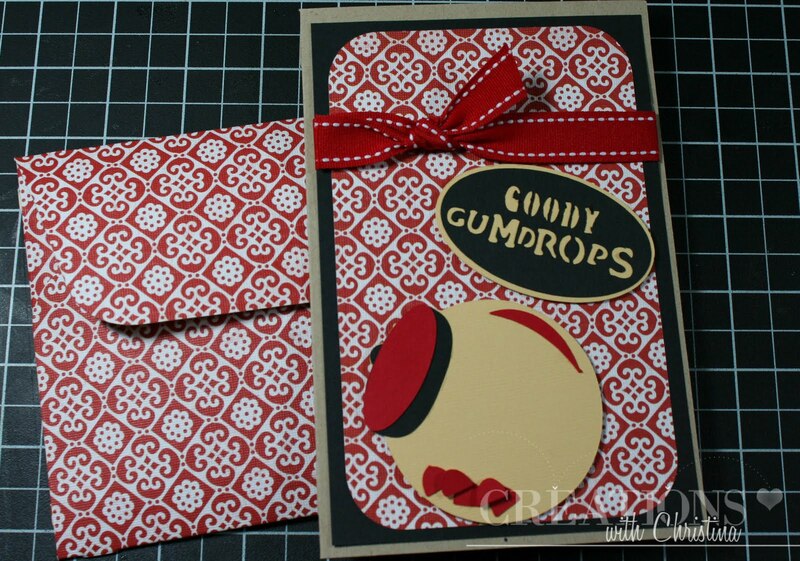 Christina what a beautiful card, love the colors red and white. Ann I love your card so creative. Thanks for sharing Christina. Wow that paper makes a fantastic envelope. Great card and thanks Ann for sharing yours. 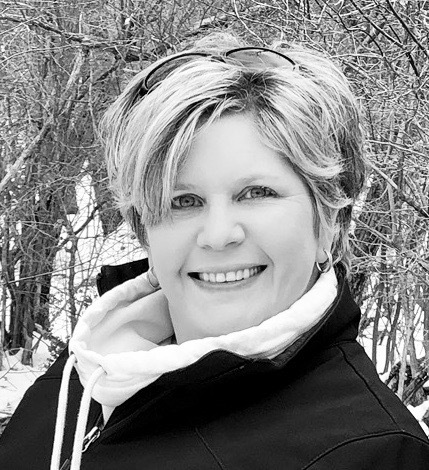 Hi Christina, I just love your videos, I appreciate the things you create and all the ideas you have given us! Thank you so very much for doing another card series. I learned so much from the WC series and I was super excited when you started these!! What a cute card! I love your paper choice. TFS! 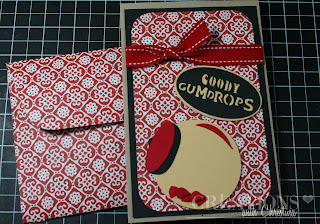 Love it with the matching envelope. Cute card and I love your paper choice. Thanks for sharing. Great card and even more impressive envelope. I like the way you give the size the details of the envelopes you use. Thanks. Love this card!!!! Great color choice!!! Wow that paper makes a fantastic envelope. Oh another great card! Thanks Christina. Your paper choice was perfect!! Do you like WC or JBC better? I have WC and I can tell that its different. How do you feel about JBC at this point? I really like the envie for this card. Great series. I'm so glad you do these series. Thanks. Christina, I love the card. I just got this cartridge last weekend but haven't had a chance to make a thing with it. I am off work on Thursday so hopefully will get a chance to play then. Thanks for all your fantastic videos. Love them. Question - When you make the envelop do you cut it at 6 3/4 or fit to page and it turns out 6 3/4? Perfect paper for a neat card. Ann's rooster card is cute too. Thanks for this series. I look forward to each post. Both cards are very cute - TFS! Cute card!! love the paper. Love the card Christina! That paper is great. I'm going to get that cart as soon as I can find it at a good price! Ann you did a great job with your rooster! GREAT card Christina!! You are making me want this cart!! Big Hugs to you my friend! Great video Christina.... Ann, fantabulous rooster card! Great card! Very cute with the paper choice. Thanks. The rooster card is really cute too! Love this card and I love that paper... thank you for another great video! I LOVE that PAPER Christina! It's sooo vibriant... Great choice! Wonderful card as well.... keep up the awesome work...I'm enjoying all these videos!